Erik Wm. Suter is as passionate about flying as he is about music. 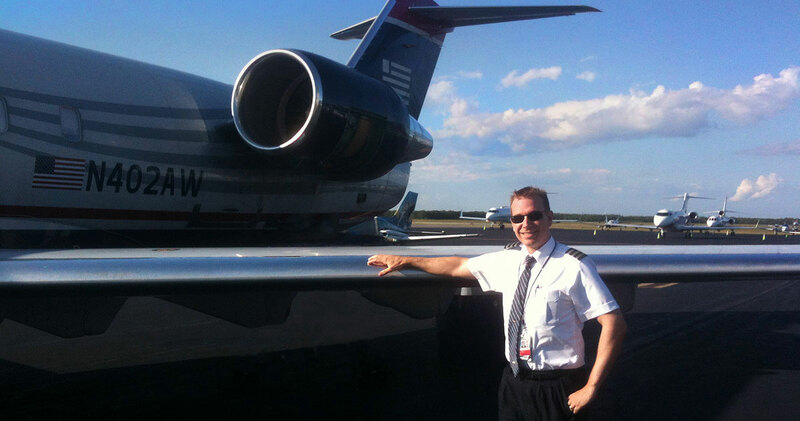 As an airline pilot with 5000+ hours, he flies the Bombardier Canadair Regional Jet for US Airways Express. While most of his hours aloft are in an airliner, his first love in flying is general aviation. He maintains currency as a Certified Flight Instructor and can often be found on his days off helping a student attain a new certificate or rating. In addition to his freelance instructing, he serves on the board of the Inn Flying Club as Chief Flight Instructor.